The Brown Jordan collection is in. Order now for spring delivery. We hand-select every item you’ll find in our store. Furniture, rugs, lamps, accessories, paintings, sculpture, antiques, and many one of a kind items. Our store floor is continuously updated, so each time you shop with us, there’s always something new to discover. We believe in providing the highest-quality furniture at the best value. We offer various promotions throughout the year. You can purchase with confidence that you’re getting a great deal every time. We’ll take care of you! Since we are locally owned, we pride ourselves on making sure you have the best experience possible by treating all customers with kindness and respect. Our team will take time to listen attentively and help you create a solution with both function and beauty in mind, at a great value. 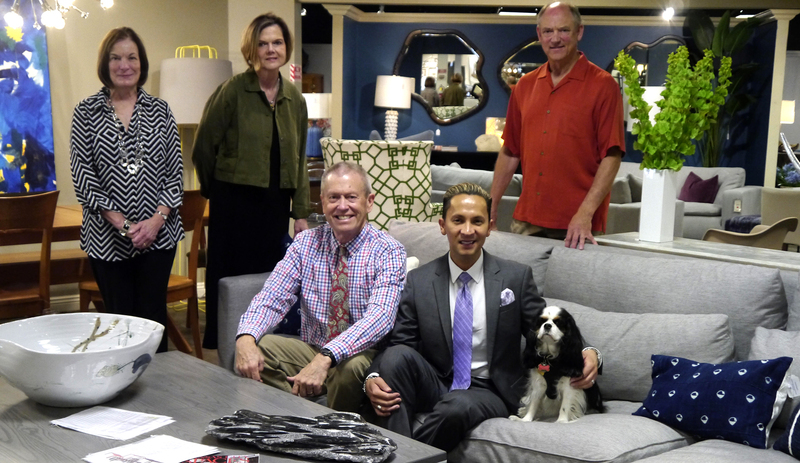 Since 1925, Allens Home has been serving the Midwest, offering the finest in home furnishings, accessories, and interior design. A locally-owned family business, Allens Home prides itself on bringing you the most unique selection of fashionable home furnishings from around the world. Our philosophy has always been to provide superior customer service, a talented design staff, and a comfortable shopping experience. We invite you to visit the showroom today! We carry America’s most notable manufacturers and employ experienced Interior Designers and Design Consultants. Whether selecting a single chair, or space-planning furnishings for an entire home, our designers take the confusion out of your design project. Have one of our design professionals visit your home.. We are committed to making your experience an enjoyable one. You will have many choices and the ability to create pieces that are a perfect fit for your home. We can help you find fabric and style options to suit your needs. Many of our furniture manufacturers give you choices of wood species and painted or stained finishes. Sign up for our newsletter today and be the first to save with in-store sales, promotions and so much more! Our design team’s mission is to listen to our clients needs and work together with them to translate their dreams into a reality. Whether a simple piece of furniture or an entire room, we are there to help you make the best possible decision to create a truly beautiful space.